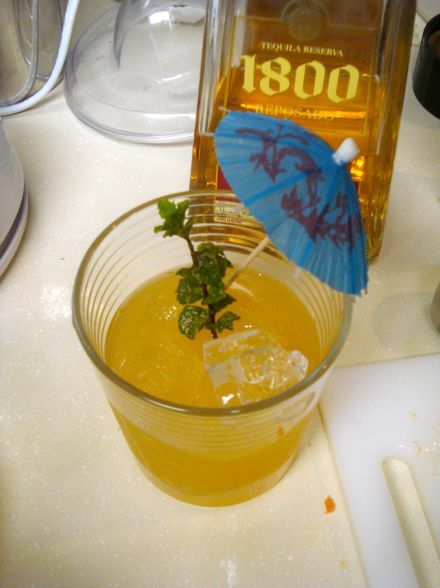 THE QUAFF: A National Margarita Day Celebration of Don Julio! Today is National Margarita Day, and in honor of the day, I plan to a) have a margarita later, and b) celebrate its most vital component: tequila! I’ve gained a recent appreciation for the notorious spirit, which had previously ranked low on my favorite alcohols. However, thanks to a handy tasting seminar in December courtesy of Jose Cuervo, I actually no longer approach tequila with apprehension and fear. In fact, I look forward to it. 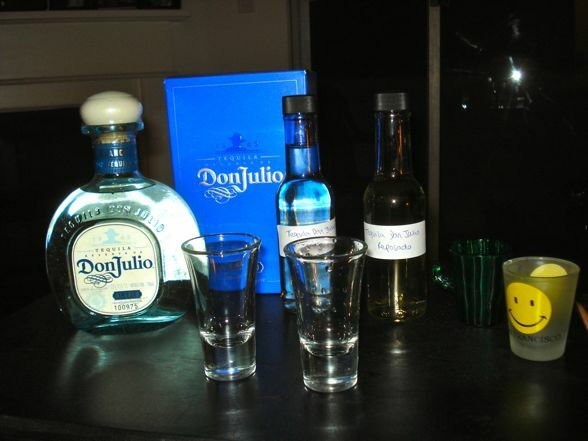 Imagine my pleasure when Don Julio sent me three complimentary bottles to sample: blanco, reposado, and anejo. This was a task I was only too happy to take on. Well, just last week, my quaffing buddy Sly was down at my apartment watching the Grammys with me, and as we listened to Christina Aguilera screech and bellow her way through yet another horrific performance, we realized that this was the ideal time to bust out some tequila. And so that’s what we did.